BERLIN (Reuters) – Kenya’s Olympic champion Eliud Kipchoge pulverized the marathon world record with a blistering run on Sunday, to shave off a staggering 78 seconds off the previous best and land the one major running crown that had eluded him. The 33-year-old, widely seen as the greatest marathon runner of the modern era, ran an official time of time of two hours, one minute and 39 seconds on a sunny autumn day along the flat inner-city course to smash Dennis Kimetto’s 2:02:57. Kimetto’s record had stood since the Kenyan set it at the same course in 2014 but Kipchoge’s run will likely take some time to break as it is the biggest improvement on the marathon record since Australian Derek Clayton shaved almost two and a half minutes off the record in 1967. “They say you can miss it twice but not third time. So I want to thank everyone who has helped me,” said Kipchoge, who had won in Berlin in 2016 and 2017. 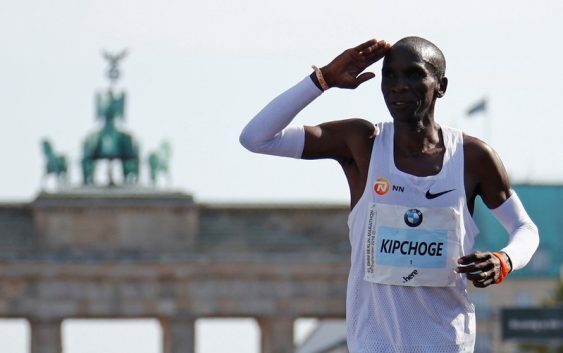 He quickly shook off his biggest opponent, Wilson Kipsang, to make it a one-man show and with weather conditions perfect and virtually no wind, it was clear after the opening few kilometers that Kipchoge’s only opponent would be the clock. But even after the last pacemaker peeled off after 25 kilometers, Kipchoge showed no sign of slowing, passing the 30km mark in 1:26:45, with a pace of 2:52 per 1,000 meters, with thousands of Berliners lining the streets and egging him on. “It was hard running alone, but I was confident. I ran my own race, I trusted my trainers, my program and my coach. 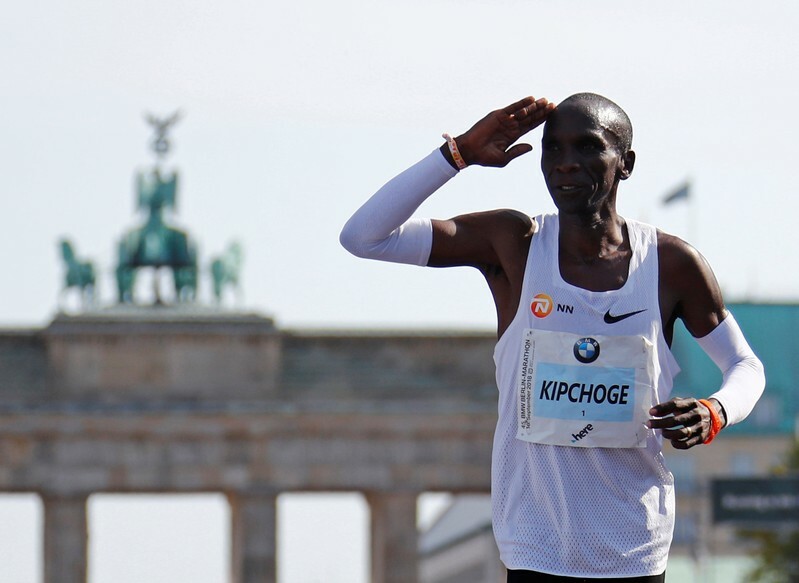 That’s what pushed me in the last kilometers,” Kipchoge said.